(March 31, 2015) — The Summer/Fall 2015 priority registration period is now open and continues through Tuesday, April 21. This year, students may not register for classes until they have completed UK’s two most recent initiatives, the CATS. Survey and Haven training. These initiatives were implemented in early 2015 as support for the university’s ongoing campus safety efforts. "Campus safety is our top priority at UK," said UK President Eli Capilouto. "But safety means many things. In addition to lights, security cameras, safety officers and technology, we need students, faculty and staff who place safety and inclusion first. All of these things speak to the kind of environment we all want as part of the UK community." Undergraduate students must have their advisor hold lifted before registering for classes. For instructions, they should contact the dean's office in their college. Students who are undeclared are advised in Undergraduate Studies located on the first floor of Miller Hall. 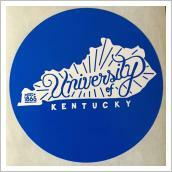 Stickers with the popular hand-drawn University of Kentucky graphic will be given to students during their meetings with their advisors. After priority registration concludes, eligible students will be able to register and add/drop courses for summer from April 28 through June 18 and again July 17 through Aug. 22. The first day of the first summer session is May 12, and the first day for the second summer session is June 11. Add/drop for the fall semester is available Aug. 25 through Sept. 1. The first day of the fall 2015 semester is Wednesday, Aug. 26. 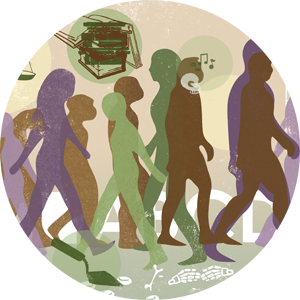 To view the Summer/Fall 2015 schedule of classes, visit myuk.uky.edu/irj/portal, click on the “Student Services” tab, then the “Search Course Catalog and UK Core” link. For more information about priority registration, call 859-257-7173 or visit www.uky.edu/registrar/how-to-register. To review a PDF of myUK registration instructions, visit www.uky.edu/sites/www.uky.edu.registrar/files/myukinstructions.pdf. For more information on the C.A.T.S. Survey, visit uknow.uky.edu/content/seesafety-cats-survey-needs-every-students-voice and for more information on Haven Training, visit www.uky.edu/StudentAffairs/VIPCenter/learn_haven.php.